The renewal of marriage vows can be one of the sweetest things that people would have to go through and even though the world that we live in right now may be full of separation and divorce, there are some people who manage to stay true to their marriage and make their love for each other even stronger than before. One of the sweetest ways to renew marriage vows is to make sure that the right rings will be used in the process. 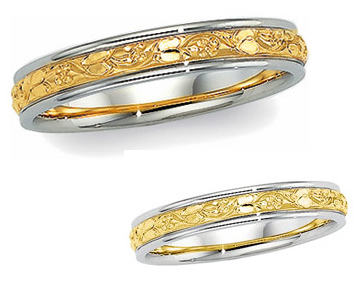 Joy Jewelers platinum bands are always available and can look amazing. Of course, with the right venue and the right people that will attend the all new wedding ceremony, wedding vows can be said with sweetness and honesty. Other sweet ideas can include the inclusion of the children with the wedding vows to show the family’s bond. Making the whole ceremony intimate can also make marriage vows even sweeter than before. What about you, what do you think are other ways to make the renewal of marriage vows even sweeter? This entry was posted in Ocassion, Relationship and tagged renewal of wedding vows, wedding bands, wedding ring on March 16, 2016 by Yami. People always fall in love and expect it to flourish forever but this is never the case. Some partners turn out to be very abusive of their women. Breaking up and letting go of a man you love dearly is not an easy job. However, abuse in relationships cannot be ignored as it is against the law. You must then know how to walk out of a relationship that is abusive whether it is physical or mental. The best way to let go is to give yourself a reason why the relationship must come to an end. Think of how bad you get hurt during every abuse that occurs. No matter how hard you try to cover your bruises, your friends will still find out. Convince yourself that you deserve a better treatment from a man who would appreciate instead of abusing you. Pick yourself up, dust off all the dust and start a new life all over again. This entry was posted in Relationship and tagged domestic violence, no to abusive partners, seek help, the art of letting go, victims of abuse on August 3, 2015 by Yami.